A Journey To Past Lives and Beyond!!! Are you looking for something new for your next party? Would you like entertainment for your next event that every guest can enjoy? Do you want to add something special and unique to your next get together that your friends will talk about for a long, long time? Time Travel Parties offer all that and more for your next party, event or even casual social get together. You play the host to something that is so much fun and different from any other party entertainment out there. Not to mention, you will be regarded as the party host that gave their guest a gift of a lifetime… or should I say, lifetimes. This all takes place in the comfort of your own home or event location. It is totally safe, educationally enlightening and enjoyable for everyone. That’s right, everybody at your event gets to participate. These Time Travel Parties are also very affordable and can accomodate any size group from eight guests on up. The only thing you need to supply is a comfortable place for your guests to sit… Sofas, Chairs, and pillows on the floor are all perfect. Time Travel Parties... A Journey To Past Lives and Beyond. 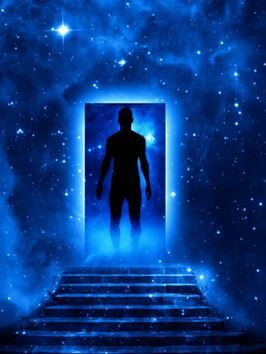 A fun and exciting addition to any party or event where you and your friends can all experience a Past Life Journey in the privacy of your own home or private party. Everyone at your party gets to participate and receives a memento of their journey. It's so much fun that your guest will be talking about it until their next life! So what are you waiting for? Reserve your party today!! !